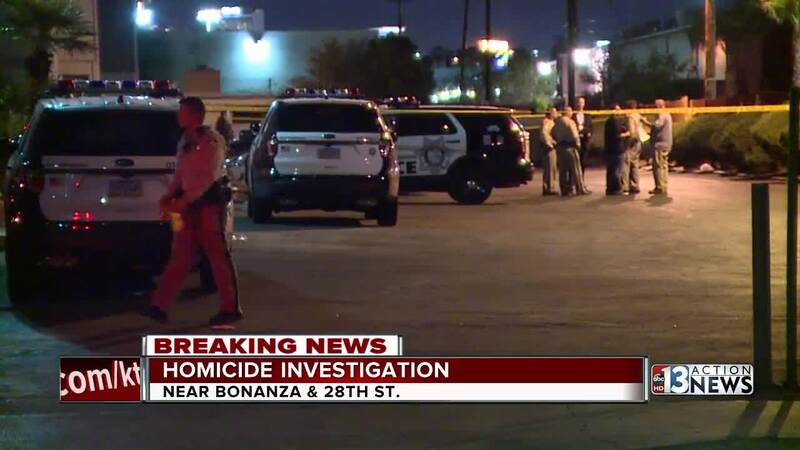 Las Vegas police are investigating a homicide at Green Tree Apartments near East Bonanza Road and North 28th Street. This is a roundup of all the breaking news from around the Las Vegas valley for August 25, 2018. Nevada Highway Patrol is investigating a fatal crash on State Route 169 at mile marker 22 in Overton. One person died in the single vehicle rollover that happened at 8:27 p.m. There are no road closures. UPDATE: Mary Folmar was located by an employee of a local hospital after recognizing her from the missing person flyer. Las Vegas police say 81-year-old Mary Folmar was last seen in the area of South Lamb Boulevard and East Russell Road. She was wearing a red and black flannel shirt, blue jeans, tan shoes and a tan boonie hat. Mary is suffering from dementia and may need medical assistance. Anyone with information regarding Mary Folmar’s location should contact the Las Vegas Metropolitan Police Department at (702) 828-3111 or the Missing Persons Detail during business hours at (702) 828-2907. UPDATE: Nevada Highway Patrol says the suspected suicidal person on the Pat Tillman Bridge has been taken into custody. U.S. 93 and I-11 has reopened. Clark County Fire Department responded to New York-New York Hotel and Casino for 15 to 20 people stuck in an elevator at 11:13 a.m. All of the occupants were released 19 minutes later at 11:32 a.m. There were no reported injuries. Clark County Fire Department responded to a construction worker trapped in a trench at the old Riviera Property at Elvis Presley Blvd and Paradise Road. The victim was reportedly working in a trench that was approximately 6 feet deep when a portion of a wall fell on him trapping him at about waist height. The victim's co-workers immediately began a rescue operation to help free him. The victim was freed at about 3:39 p.m. and taken to UMC in unknown condition. OSHA is investigating. Nevada Highway Patrol is reporting that they are investigating a possible suicidal suspect at the Pat Tillman/Hoover Dam Bridge. U.S. 93 and I-11 are closed in both directions on the Nevada and Arizona sides while they investigate. Las Vegas police are on the scene of another officer-involved shooting near Doolittle Avenue and H Street, which is near the Vegas Heights area. READ MORE .